This title includes a number of Open Access chapters. Nutrition is becoming ever more central to our understanding of metabolic processes. Nutritional biochemistry offers insight into the mechanisms by which diet influences human health and disease. This book focuses on five aspects of this complex field of study: nutritional genomics, clinical nutrition and biochemistry, vitamins and minerals, macronutrients and energy, and cell function and metabolism. Collected in this research compendium are recent studies within each of these topics. 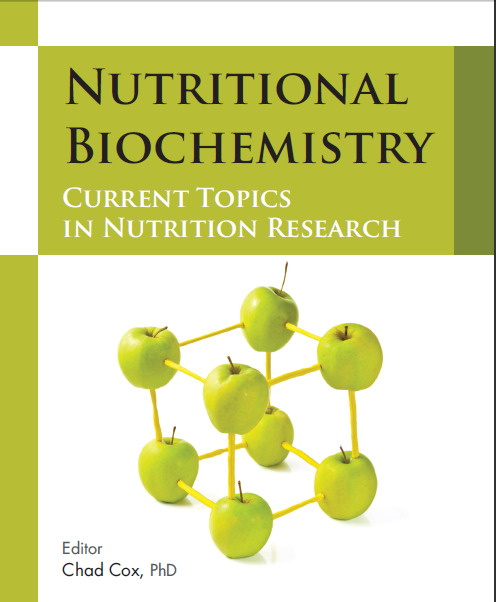 Each chapter contributes to a well-rounded and up-to-date picture of nutritional biochemistry. Appropriate for graduate-level and post-doctorate students, this book will stimulate further study into this important field of research. GMT+8, 2019-4-23 04:41 , Processed in 0.350771 second(s), 67 queries .